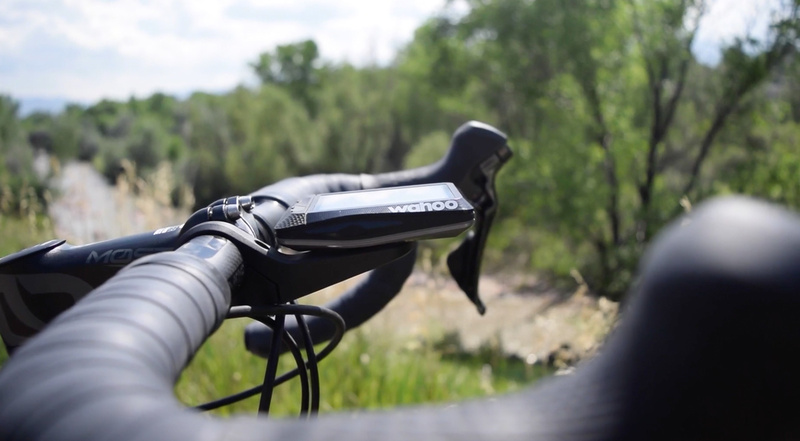 The customizable screens on the Wahoo ELEMNT and ELEMNT BOLT have many available data fields, ranging from cadence to calories. As a result, it’s easy to get wrapped up in deciding which ones to display. While needs vary between athletes, we have put together a general guide to help cyclists and triathletes who need help setting up their devices. Note: We are assuming you are or can use both a power meter and heart rate monitor. This is the basic data screen you will see if you are just out for a ride and have not started any intervals. Once you hit “Lap” on the computer during an interval training session, you will be taken to the Lap Data screen. This screen is the most commonly used setup for endurance rides, group rides, and similar sessions. As with other data screens on the ELEMNT, the zoom feature is very useful on the main workout screen. A single tap puts the visual power and heart rate zone fields across the bottom of the screen. A second click to zoom gets you down to four data points: power, total time, cadence, and heart rate. These four important data points are front and center for a quick reference to your intensity during general endurance riding or a group ride. The total time field can be swapped out for distance (workout) if you’re riding something like a century or a route with a known mileage. Even if you don’t do a lot of interval training, you may find yourself using the Lap Data screen more than you think. Many athletes use it to mark the start and stop of a goal segment (and not necessarily a Strava segment since those can be automatically tracked). Rather, you might use the lap function to put markers into your data file when you ride new routes or new climbs. The order in which you arrange fields is very important on the Lap Data screen (and arguably more than other screens). During intervals, you will likely want to be zoomed in so there are only 2-4 data fields visible, out of 9. The goal is to prioritize the information that will help you adjust your intensity and achieve the mark of the interval. 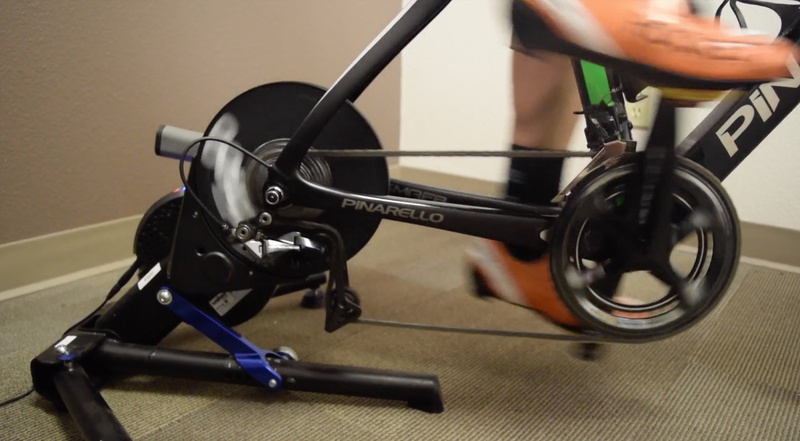 Lap time and real-time power output make sense to most people doing power-based intervals. However, the third field, Average Power (lap), is a little different. The reason we like athletes to use it here is because real time power output can vary pretty widely, and we find athletes sometimes fixate on the peaks or valleys they see in real-time data and struggle to judge how they are actually performing within the interval. Average power for the lap will rise and fall more slowly, which can give an athlete a better opportunity to achieve the intensity desired. The same is true of displaying real-time heart rate and average heart rate for the lap. There are other ways to achieve this goal as well, including the power or heart rate zone visual fields, as long as you are always using the same zones or remember to change them when appropriate. One comment we have received about this particular Lap Data screen setup is that it seems old-fashioned and doesn’t take advantage of some of the really innovative data the ELEMNT and ELEMNT BOLT can deliver, like torque effectiveness, pedal smoothness, average left/right balance, etc. We chose the screen setup above because it provides the most relevant data to monitor and adjust intensity during intervals designed to improve cardiovascular performance (threshold efforts, VO2 max intervals, climbing repeats, and tempo intervals). If you are doing something very specific to work on pedaling dynamics, we recommend setting up a new custom screen to feature that information. There are two essential ways to change your strategy for getting up a climb: change how hard you’re pushing (power) or how fast you are pedaling (cadence). Your speed and the grade of the climb help you decide what to change. As the grade goes up and the speed comes down, you have to decide whether to increase power, increase cadence, or both. If you are trying to get to the summit as fast as possible, use more power on steeper grades and back down to a more sustainable intensity on shallower grades. As you learn to apply this strategy to your own riding, you will likely set new personal records on climbs with little to no change in your average power output for the climb. You’re just using the data on this screen to climb smarter, and hence faster. For the most part, we recommend leaving data fields off the map screen. If you’re going to be using the map, it’s probably most beneficial for the map to take up the whole screen. Navigation functions are typically less of a priority for athletes training in their home area on known routes. In contrast, athletes who travel and ride in unfamiliar areas place a high priority on navigation functions. For those athletes, perhaps the best navigation function on the ELEMNT and BOLT is the ability to search for a location in the Wahoo ELEMNT App and sync directions immediately to the device. Taking this route-finding function out of the device and enabling athletes to use the phone – a place where people are already familiar with mapping functions – makes the process much easier. The ability to create and sync routes from Strava and RidewithGPS is also very helpful, as long as you take the time to plan your route. As you know, your ELEMNT can control a KICKR or KICKR SNAP trainer. You can ride a route on the road and recreate it on the trainer. You can use the KICKR in ergometer mode and adjust the resistance from the handlebars. It’s incredible. One data field we like to include on the KICKR Control screen is Power to Weight, mainly because so many people are joining rides and races on Zwift that are delineated by watts/kg (“This group ride is a 2.5-3.0 wk/g pace”). Here is where you can create anything your heart desires, but a word to the wise: if you build a bunch of custom screens, use the ELEMNT app to view/hide screens according to what you’re doing. The Page button only cycles through pages in one direction, so if you have 10+ screens visible, you’ll end up doing a lot of searching and button pushing. Also, keep in mind that when you hit “STOP” at the end of the ride, your custom screens from that ride will immediately zero out and there will be no data there to review. There is a HISTORY page on the device, but this is not currently customizable, nor can you add customizable history pages. The idea is that you will be doing more in-depth analysis using training software like Strava, TrainingPeaks, etc. This screen setup enables you to briefly review your performance during the previous lap (interval) while you are presumably spinning along at an easy pace to recover before your next interval. The setup below is a good starting point, but can obviously be customized further based on the type or goal of your interval workout. These two custom pages can give athletes a during-ride snapshot of how much time they have already spent in specific intensity ranges. This can be particularly useful if you are trying to reduce the regimented structure of your training and yet still accumulate time at specific intensities. For instance, to accumulate 60 minutes at your functional threshold power you can do structured intervals or vary your intensity with terrain/wind/landmarks. The two scenarios do not create identical training stimuli, but both have their place in an athlete’s overall program. For the Time in Power Zone screen, place Normalized Power at the top of the page, then the zones in order below. For the Time in Heart Rate screen, place Average Heart Rate (workout) and Max Heart Rate (workout) at the top and your zones in order below that. At the end of the day, your workout is your own. Whatever helps push you in your session and keeps you organized is the right display to choose. There’s no “wrong” setting, and that’s the beauty of the ELEMNT. Fit it to your training style. Let us know your favorite view in the comments below! Note: This article was written by Jim Rutberg, who is a Pro Coach for CTS and co-author of The Time-Crunched Cyclist, Third Edition. The Wahoo KICKR is the official indoor trainer of CTS, and when you purchase a KICKR, KICKR SNAP, or ELEMNT you can bundle it with a CTS Coaching Package and save big!